The short answer is no, not if we continue on a sustainable path and practice conservation. But what does that actually mean? And how do we know we won’t run out. Let’s first look into our water supply. Then we will learn how it is managed and what you can do to ensure water is around for years and years. City of Charlotte/Mecklenburg County withdraws our drinking water from Mountain Island Lake and Lake Norman, both part of the Catawba River and the Catawba-Wateree River Basin. This river basin supports nearly 2 million people with water for drinking, power generation, industrial processes, crop and livestock production, recreation, irrigation and more. About 25% of Duke Energy’s electricity for the Carolina’s is made in the 13 hydro stations on the river basin. So where exactly is this water going, and who uses it? One of the most surprising things is that Catawba-Wateree River basin loses 204 million gallons/day from natural evaporation alone. You can imagine how much has evaporated during these hot summer months. A 2006 Water Supply Study found maximum capacity of Catawba River Basin for water supply could be reached mid-century. Thus, a group was formed in 2007 to access and figure out a way to extend the life of our river basin. This group that consists of Duke energy, who owns and operates the dams that manage the water and the 18 munincipalities is called the Catawba-Wateree Management Group. It is a non-profit corporation working to extend and enhance the capacity of the Catawba and Wateree Rivers to meet human needs while maintaining the ecological health of the waterway. This group was tasked with creating a Water Supply Master Plan. The master plan identifies the current challenges associated with a limited water supply especially during periods of drought. 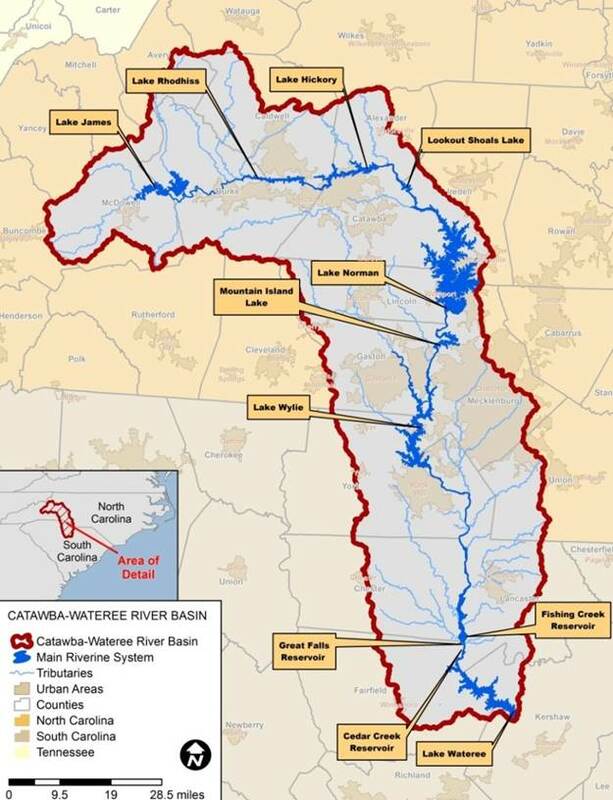 It also identifies a series of recommendations that could extend the regional water supply capacity of the Catawba-Wateree River Basin into the next century. 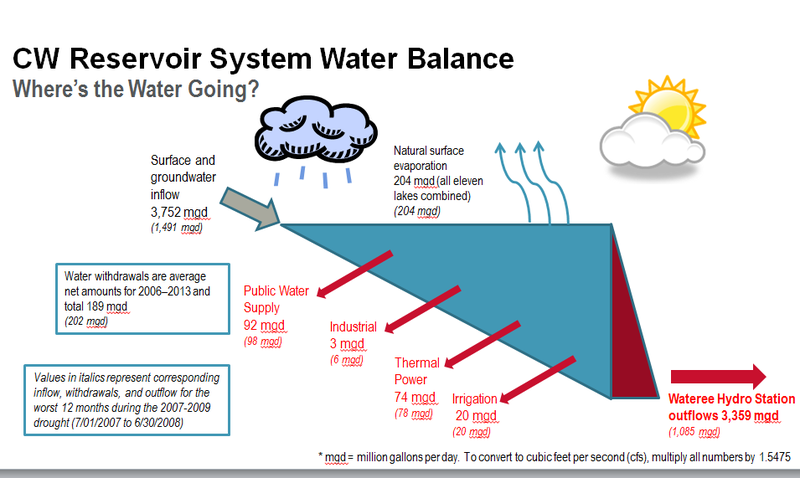 Enhance the Drought responsiveness through the Low Inflow Protocol (the protocol we use to determine what drought stage we are in and what amount of conservation is needed to ensure we have enough water for essential uses). With implementation of the Catawba-Wateree Water Supply Master plan, we should extend the river’s capacity to sustain grown through 2100. The good news is that total average water consumption for Charlotte Water customers is decreasing . This is most likely attributed to more efficient appliances, smart irrigation and behavior changes. This along with good infrastructure, financial and business planning will ensure that we have enough water for all current and future Mecklenburg County residents. For more informatoin about the Water Supply Master Plan visit the Catawba-Wateree Management Group website.